Another month has come and gone....welcome to the first week of March! We are entering the last two weeks of the third term, and I have a number of lessons I'd like to present to you. You will have some box and whisker homework Monday and Tuesday evening to complete. In addition, please complete your weekly journal and Compass Learning assignment by Friday. You will have a quiz on box and whisker plots Thursday. 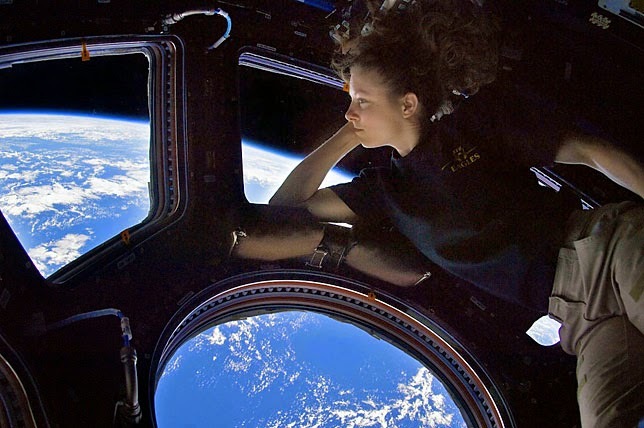 In science, we will be blasting off to research how the sun, Earth, and moon interact with each other as they travel through our amazing universe. 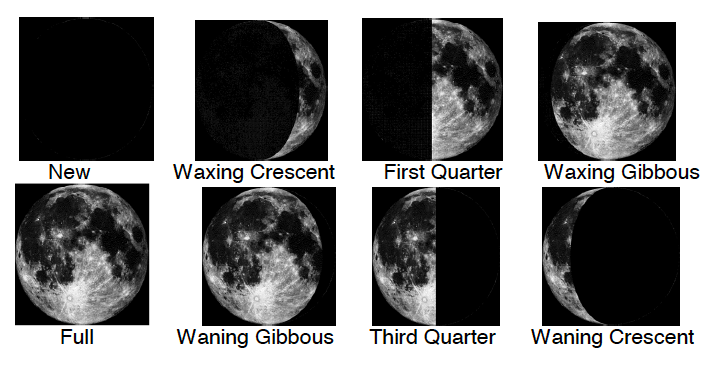 Here is a copy of your notes that you can use to help you understand everything from the makeup of the sun, the phases of the moon, and eclipses. Use this choice sheet to guide your research. The completed choices will be due Friday, March 13. The last progress reports of the term will be sent home Tuesday. Please review, sign, and return them to your child's homeroom teacher. All 2nd term work is due the last day of the term (Friday, March 13). Please check PowerSchool Parent Access to see if you are missing any work. Check out this great resource you can use to create line plots. 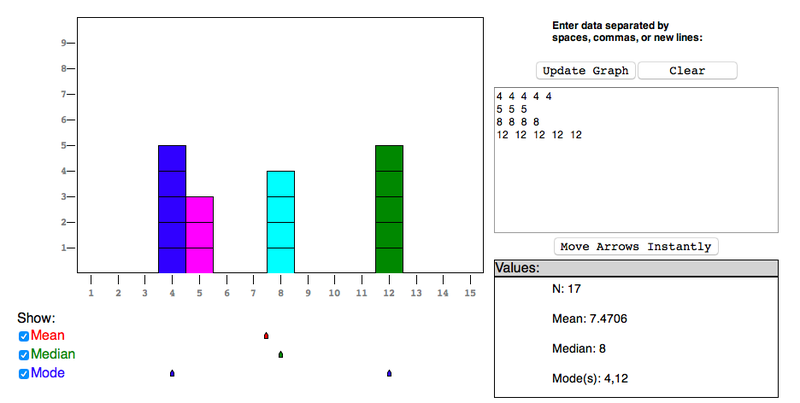 As an added bonus, it will automatically calculate the mean, median, and mode of the data set you put on the graph! Isn't technology amazing!? We used clothespins in both math and science today. To help us with our studies with measures of central tendencies, we played a game to create a data set. Students were challenged to see how many clothespins they could drop from their nose into a cup on the floor. After compiling the entire class' scores, we graphed it and found the mean, median, mode, and range of the data set. For science, we used clothespins to create a simple tool called an astrolabe. Early astronomers used astrolabes to measure altitude of objects in the sky. Who knew that clothespins could do so much more than hold our clothes to a drying line?! Happy International Montessori Week! I hope you will take some time over the next few days to think about how the Montessori philosophy has influenced your life. We will be doing a few fun things this week to celebrate. First, we will have a Peace Pole celebration Wednesday. You can also dress as your favorite Montessori material on Friday! We will continue our work with interpreting data this week in math. The measures of central tendencies (mean, median, mode, and range) we introduced last week will help us decipher hidden meanings in groups of numbers. More specifically, we will look at how we can interpret data found in graphs. The following text will help you better understand this concept. You will have homework Monday and Tuesday night to complete. Your weekly Compass Learning assuagement (due Friday) will also focus on measures of central tendency. In addition, don't forget to complete your journal assignment. It is found on your Google Classroom page, and will be due Friday. In science, we will continue getting to know the famous astronomers that were introduced you to last week. Use your "Planetary Pathways" choice sheet to guide your studies. Three choices from the sheet will be due Friday. 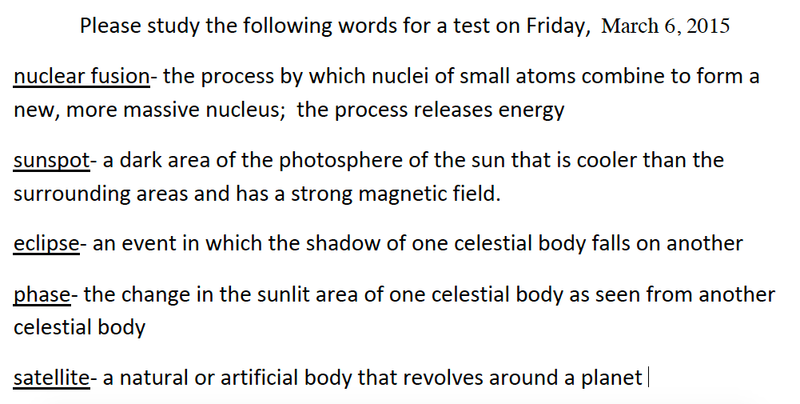 You will also have a test on the astronomers Friday. Use your study guide to help you prepare. If your family has not completed the Parent Climate Survey, please do so by the end of the week. Based on information from local weather broadcasters and the Chatham Emergency Management Agency calling for continued extreme cold associated with wind chill temperatures as low as 14 degrees during the morning hours, all Savannah-Chatham County Schools will open on a one-hour delay on Friday, February 20, 2015. All schools will dismiss at their normal dismissal time and all after-school athletic and extra-curricular activities will remain as planned unless otherwise notified by your school. Parents who wish to drop their children off at school at their regular school start time may do so. ***All SCCPSS Employees are expected to report to work at their regularly scheduled time, unless advised differently by your supervisor. Savannah-Chatham Public Schools bus up to 24,000 students to and from school each day, and with the continued low temperatures that are predicted tomorrow morning, the start time for tomorrow's school day will be delayed. Buses will operate on a one-hour delay for all morning routes. **Part time students who attend the Woodville Tompkins Technical and Career High School for morning sessions will remain at their home high school campus. Please make sure to check our website at www.sccpss.com for updates. Timetoast is a great online tool you can use to create interactive timelines! 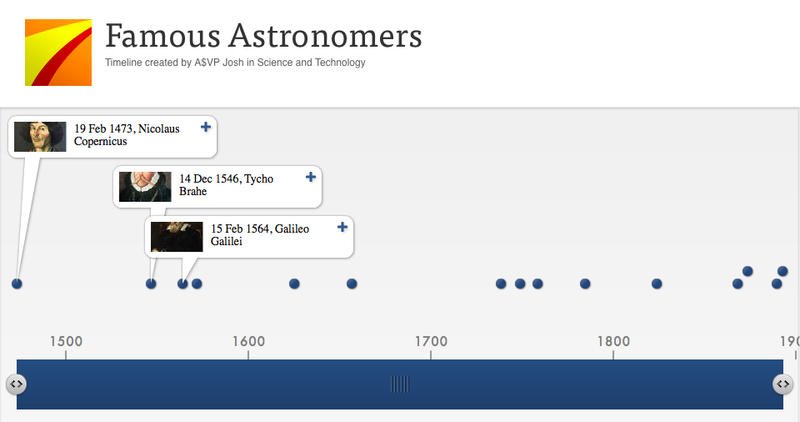 Here is one that was made showing famous astronomers throughout history. Click on the + next to their pictures to see more information about their lives. Progress reports will be sent home today. Attached to the report you will find a "Growth Report" page that shows performance data from the past few years of CRCT testing. More information about this report can be found on the accompanying letter and on the report itself. Let me know if you have any questions about this information. You can keep the growth reports, but please return the other pages of the progress report. Review, sign, and return it tomorrow (Wednesday, Feb. 18). Brainpop movies are a great way to review and practice concepts you are focusing on in class. 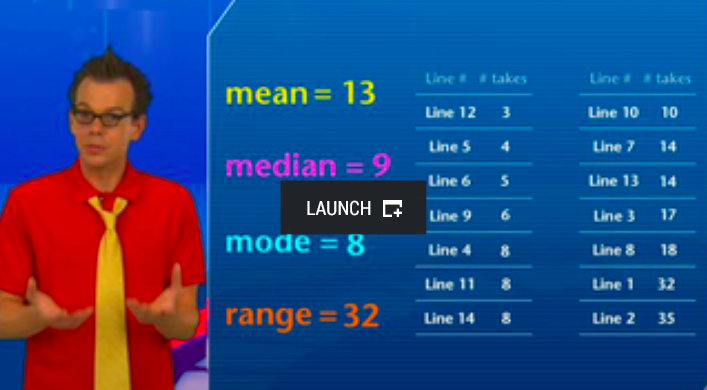 Check out the Mean, Median, Mode, and Range movie....Tim and Mobi do a nice job quickly explaining the concept. Our upcoming week is a tad shorter than normal....you get Monday off to celebrate Presidents' Day! While you are enjoying some much deserved time off, I will be at Ellis preparing another great week for you! You will have homework Tuesday and Wednesday evening, and a quiz Thursday. While you will NOT have a journal this week, please be sure to complete your Compass Learning assignment by Friday. Here is an extra practice sheet you can feel free to try on your own. The answer are at the bottom of the page. As part of your research, please study the following words. You will have a vocabulary quiz on them this Friday. Finally, use the following choice sheet to explore our universe. It will be due Friday, Feb. 27th. Do you like the game Minecraft? 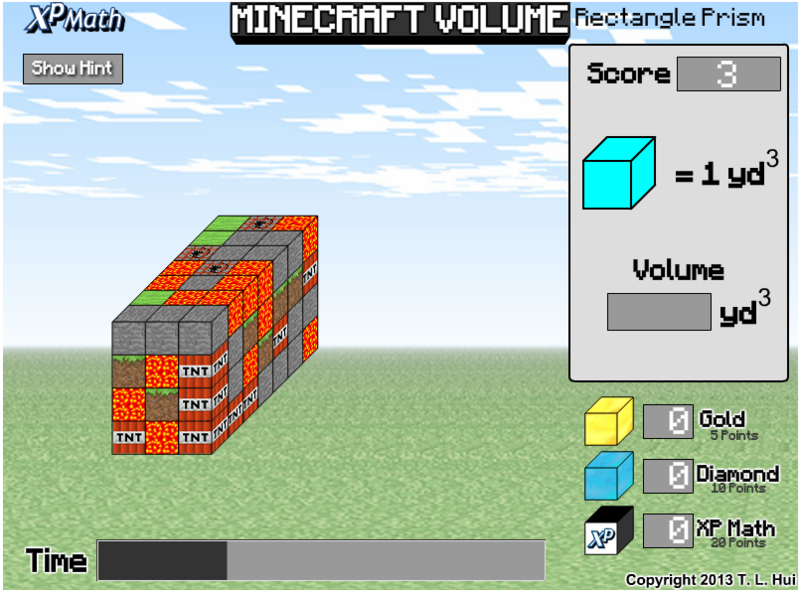 If so, check out the awesome game that will help you practice finding volume of rectangular prisms! Ms. Meredith, a Public Information Officer with the Chatham Emergency Management Agency, visited us this week to talk about severe weather preparedness. She shared with us some great tips about staying safe before, during, and after storms. In addition, she gave us some informative literature, a pencil, and a first-aid kit. Thanks, CEMA! Are you planning on enjoying the Super Bowl today? 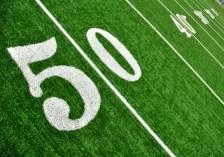 If so, check out the following article about some interesting math behind the big game. Click above to learn the math behind the game of football!